It is snowing in the ski resorts of the Pyrenees which means that, while much of Europe is facing months of grey cloud and rain, here in the foothills, we are looking forward to the blue skies of winter with snow-covered mountains on the horizon and, of course, skiing and winter sports. 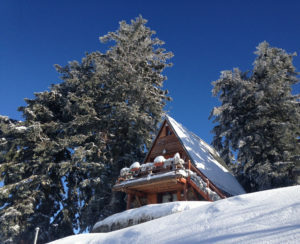 I know that this is a time of year when many people are dreaming of snow covered slopes and cosy ski chalets because it is always January when I start getting lots of enquiries from buyers looking for ski properties. In addition, the number of people looking to buy in the Pyrenees is increasing year on year with the majority of buyers now priced out of the Alps. And although cheapness is rarely a word associated with ski property, there are still plenty of well-located and excellent value ski properties available in this region for buyers of all budgets, particularly for those people seeking bolt-holes that they can use themselves, rent out easily and hopefully reap some eventual capital gain. The ski resorts here in the Pyrénées, many of which are only just coming onto the radar of the foreign investor, offer fantastic investments – with some great skiing thrown in. Particularly popular with my clients in the last few years has been the area around and close to Superbagnères (the ski resort attached to Bagnères de Luchon). With its restaurants, cafés, hotels, cinema, golf course, tennis courts, chocolate shops, market and spa, Luchon is one of those towns that exudes ‘old money’ and is very stylish but still very affordable. Being a popular holiday destination winter and summer (thanks to its ski resorts, thermal baths and spa, plethora of year-round activities, fantastic walking and cycling, stunning scenery and easy access from Toulouse and Pau), properties here have excellent rental potential all year round.